I am very pleased to report that the Andrew W. Mellon Foundation has made an additional grant of $300,000 to the American Philological Association (APA) for its Gatekeeper to Gateway Campaign to raise an Endowment for Classics Research and Teaching. 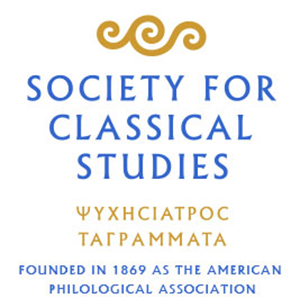 This grant, like the Foundation’s earlier gift of $325,000 in September 2008, supports the production of Classics bibliography through the American Office of L’Année philologique. It also enables the APA to exceed all matching fund requirements of the challenge grant awarded to the Association by the National Endowment for the Humanities (NEH) in June 2006. Since late 2005, more than 1,200 donors have contributed to this successful effort to raise a total of $2,600,000 and claim an additional $650,000 in matching funds from the NEH. This figure includes more than 1,000 donors who are members of the APA, i.e., over a third of our individual members. We are very grateful to everyone who built an endowment that is already underwriting the operations of the American Office, enhancing the teaching awards that we give, and increasing the number of minority scholarships that we can confer each year. In addition, during the current fiscal year that started a few months ago the endowment will support teacher training and the APA’s TLL Fellow. By the next fiscal year we expect the endowment to grow to a point where it can support improvements to the APA web site and other programs that will fulfill our promise to share our love of Classics with the widest possible audience. As noted above, thanks to the generosity of the Foundation, we are exceeding rather than simply meeting NEH requirements. By the end of this year we expect the total amount raised to be close to $2,700,000. Any new gifts to the Campaign that we receive now will permit the APA to fund initiatives that respond to needs identified at the recent strategic planning retreat of the Board confident that we have already met the needs of the projects for which we mounted the Campaign seven years ago. The purpose of the Gateway Campaign has always been both to support existing programs and to create an opportunity fund for our future. The future has arrived more rapidly than we dared hope, and, especially if you have never made a gift to the Campaign, I urge you to do so now. Congratulations to the Gateway Campaign Committee, particularly the Co-Chairs (Senators Peter Fitzgerald and Paul Sarbanes and our colleagues Michael Putnam and Ward Briggs), the Steering Committee, and the Association staff, on this successful outcome. We will, of course, celebrate this success at the upcoming annual meeting in Seattle. I will have more details as January approaches.